...but never let that hold you back from where you want to go. I think it's really important to record memories and document our history. I have done a little research into my family tree but what I really like is looking through old photos. I borrowed this photo of my mum's parents and scanned it. 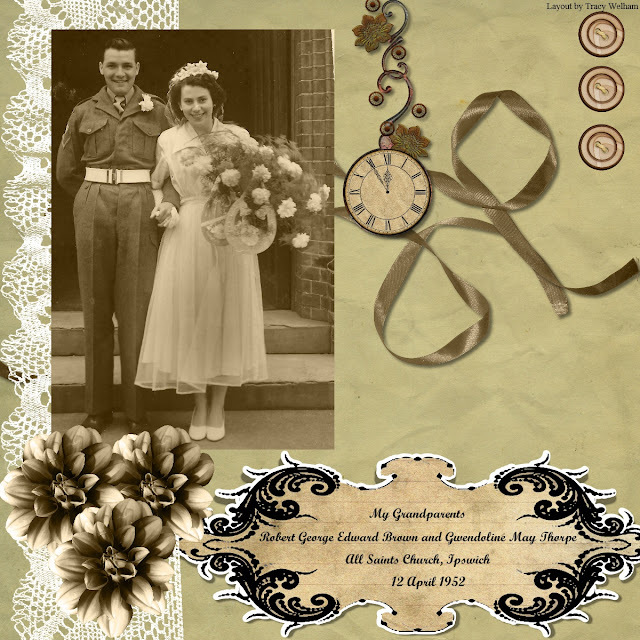 Originally it was black and white but I really like sepia so I changed it using my Serif Craft Artist programme. 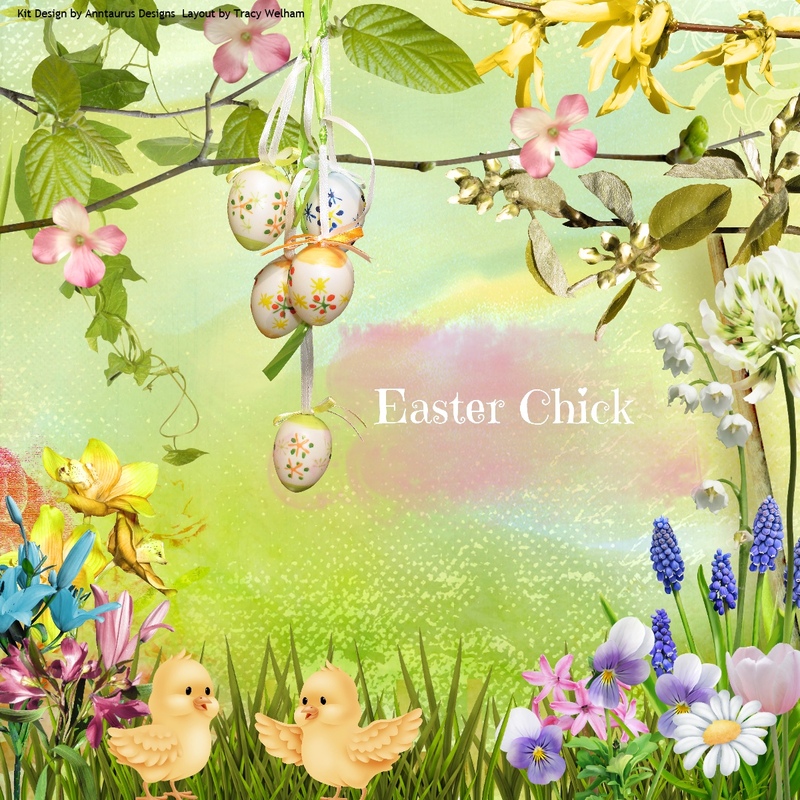 The digital embellishments are from various different kits. 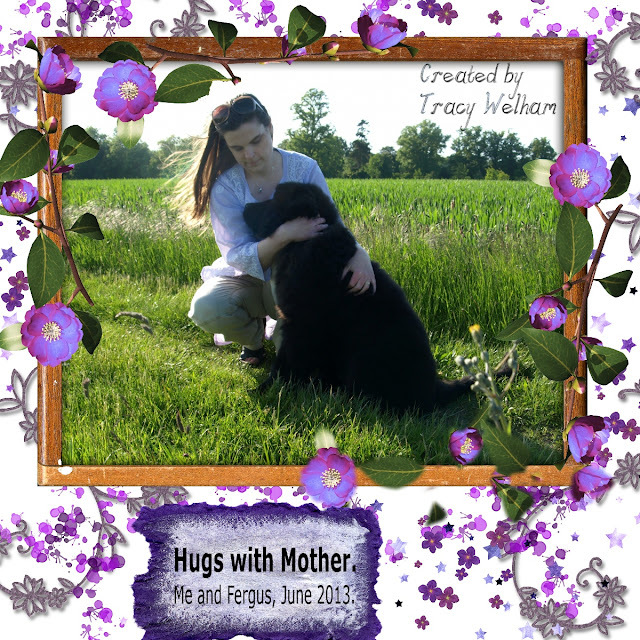 My digital scrapbook page today uses a photo from Fergus' puppyhood, he is 6 months old in this photo. Today I am sharing my third page using the Essentially Easter kit from Anntaurus Designs and another of the photos from sister, who was duckling sitting. Today I am sharing a scene I created using the Essentially Easter kit from Anntaurus Designs. 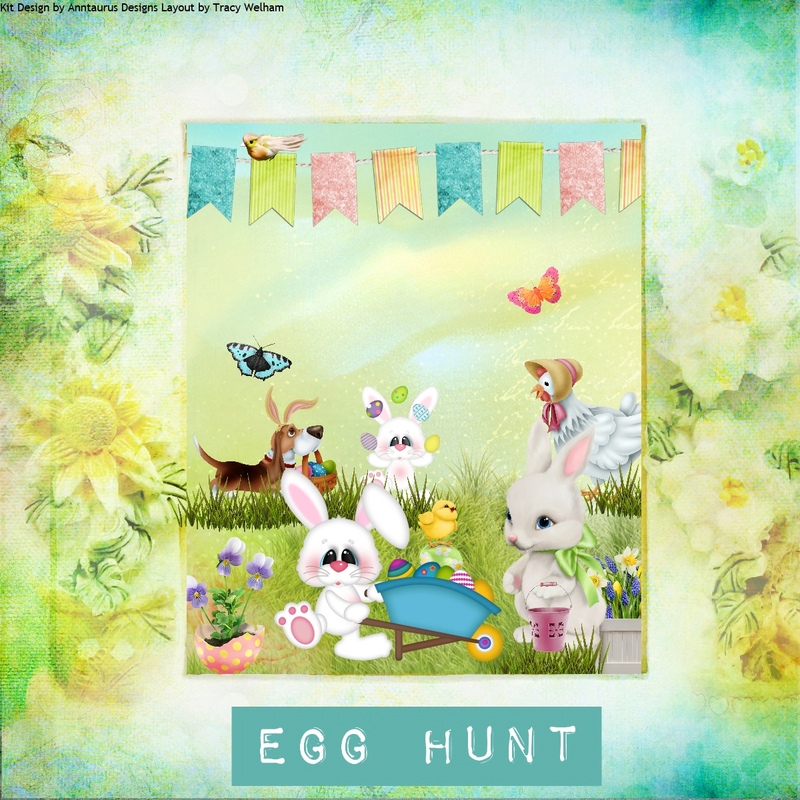 These cute critters are having an Easter egg hunt at their local fete. 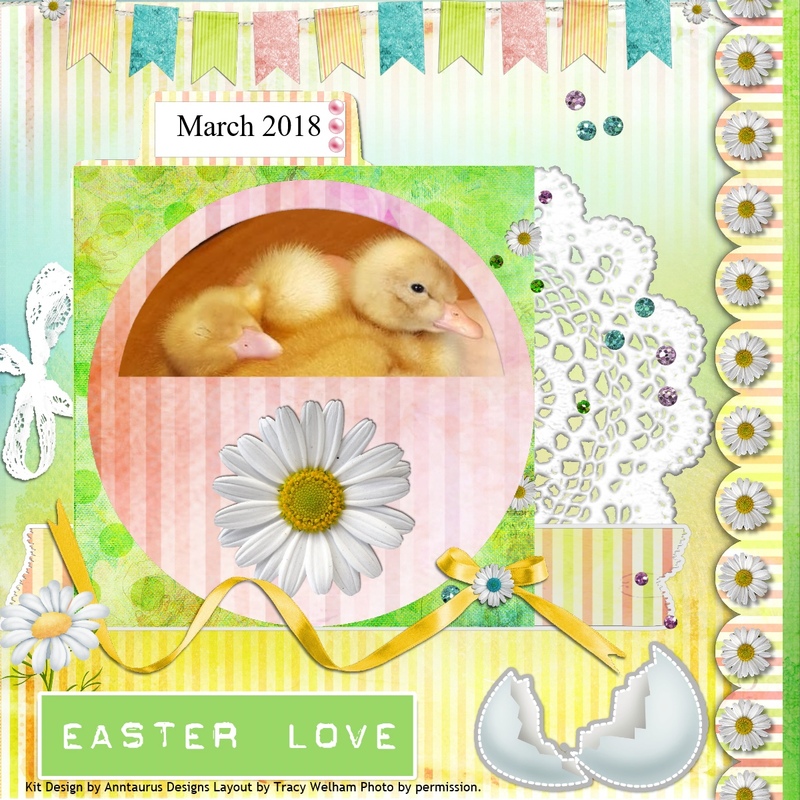 Today I am showcasing the Essentially Easter Kit from Anntaurus Designs, perfect for scrapbooking your Easter Egg Hunting photos.